The Junior and Intermediate String Orchestras give string students an opportunity to develop orchestral ensemble and musical skills. 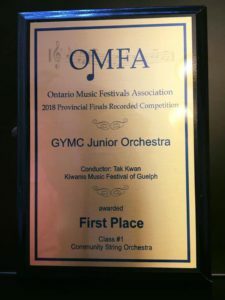 The GYMC orchestra program began as the happy joining of like-minded teachers and concerned music lovers who wanted to make sure that all the children of Guelph and surrounding areas have the opportunity to play in an orchestra. After a trial year in 2004, the orchestras debuted in December 2005. 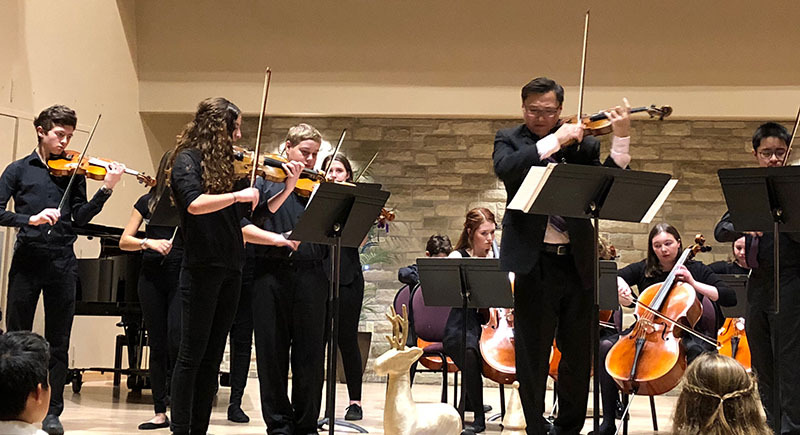 The Junior and Intermediate orchestras are for string players only, and are intended to give young performers an opportunity to develop orchestral ensemble and musical skills, leading to participation in the Guelph Youth Symphony Orchestra and beyond. The GYMC String Orchestras is directed by Tak Kwan. The Junior and Intermediate Orchestras are for string players only, and are intended to give young performers an opportunity to develop orchestral ensemble and musical skills. 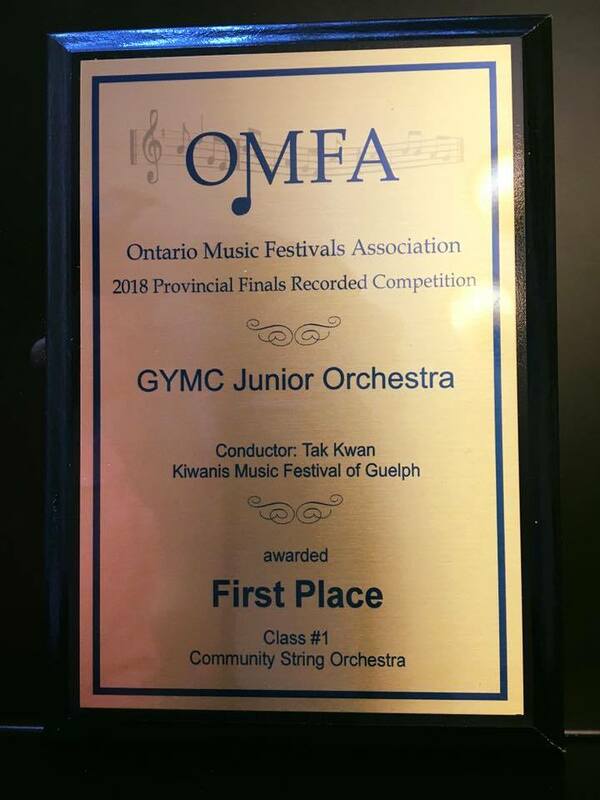 In 2018, the GYMC Junior String Orchestra won First Place in the OMFA (Ontario Music Festivals Association) Provincial Finals! Congratulations Tak and orchestra members for your hard work and well-deserved recognition. The cost for either the Junior or the Intermediate String Orchestra is $365 (early bird price of $350 until June 20). Registration includes a weekend rehearsal retreat. The Orchestra program is 25 weeks, with rehearsals on Saturday mornings from September to May. These programs are recommended for players at Royal Conservatory of Music (RCM) level 4 and above. The GYMC would like to thank conductor Jef ten Kortenaar for his leadership and loving caring of the orchestras for over 10 years. Contact us for registration information or download, print and complete the registration form (click the button link below). Please make an appointment to bring it to the office, scan and email it to office@gymc.ca or fax to 519.837.1121. The forms are also available in the GYMC office.